NEW & IMPROVED WITH 3 EASY WAYS TO WEAR: Train in comfort any way you choose! 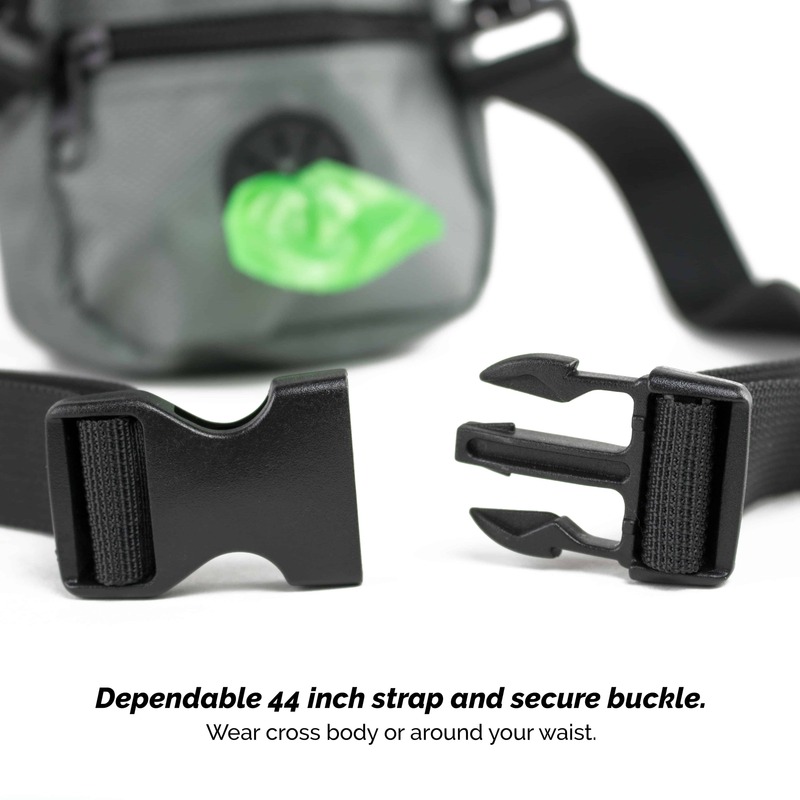 Use the removable 44″ adjustable waistband/shoulder strap, or strong durable metal belt clip. Made of lightweight weatherproof nylon fabric this versatile bag is the perfect fit for any occasion. 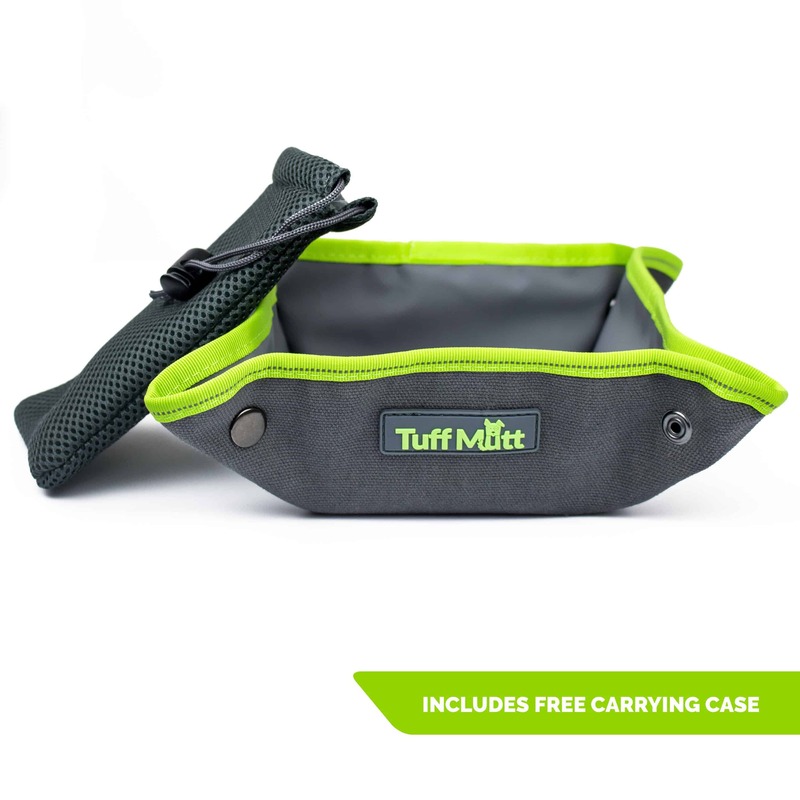 The Tuff Mutt Training Pouch is the perfect bag to come along with you when you take your best friend out on your next adventure, training class or evening stroll. 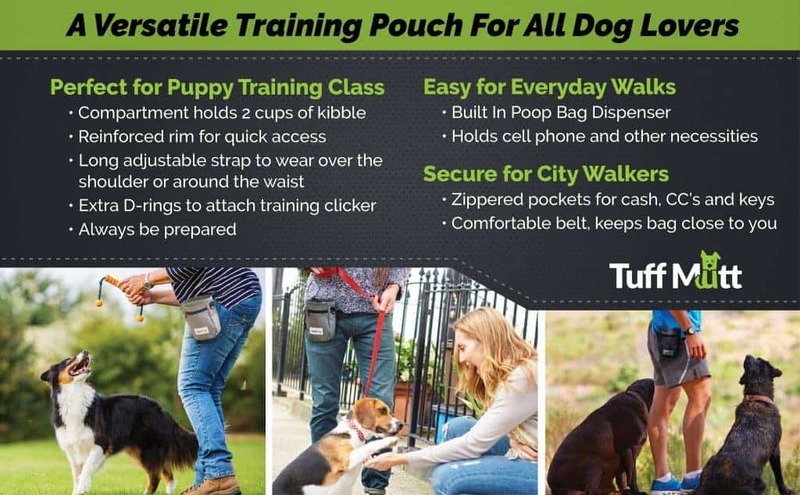 Designed not to be too bulky or fanny-pack like we’ve packed a lot of features into this bag that is sure to make your tail wag. 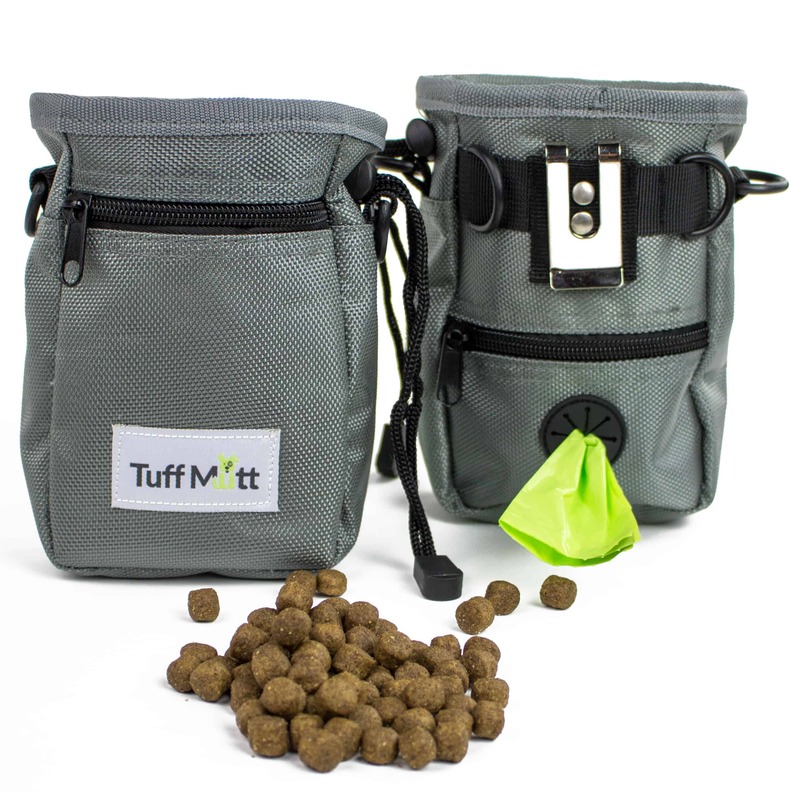 Primarily a treat bag (for training treats/rewards/bribes) with a poop-bag dispenser built in, the main compartment is generous and can hold a couple of cups of small kibble or less if you are using larger treats that your dog can’t resist. 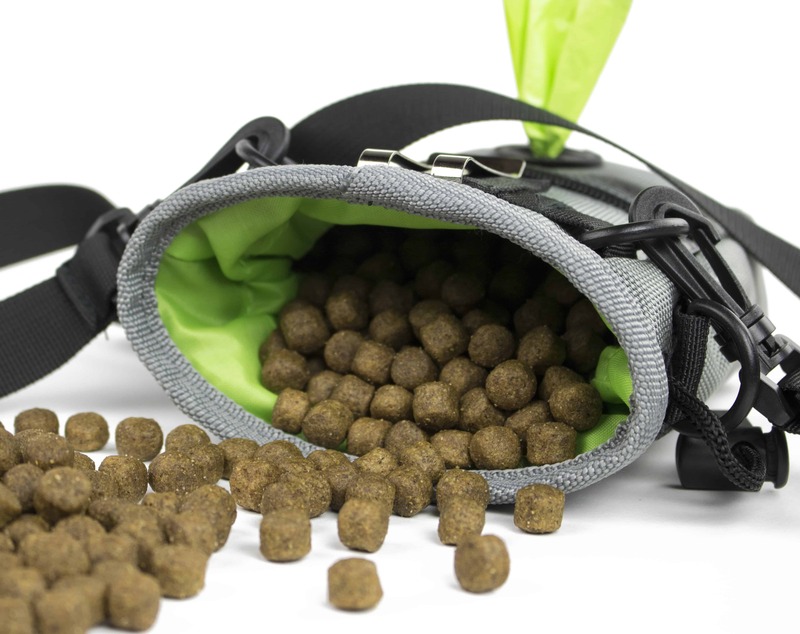 Store the treats in your own baggy, or you can simply put the treats directly into that compartment: the inner liner pulls out for easy cleaning. 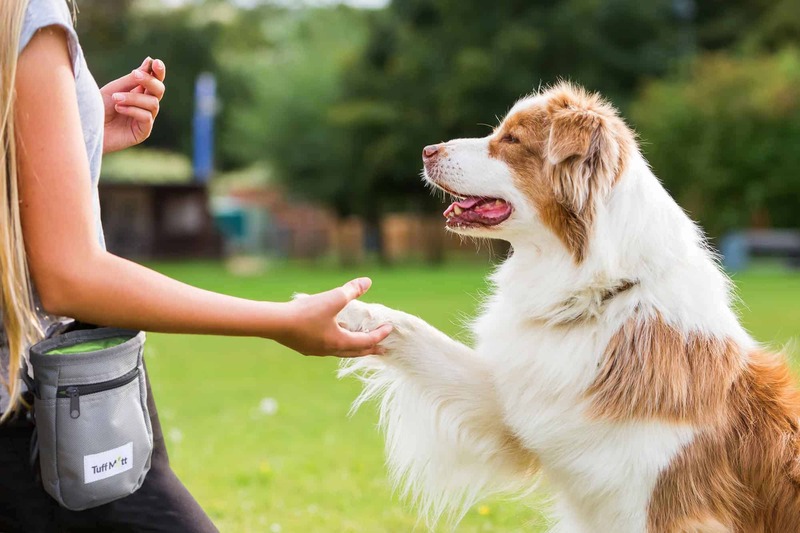 You’ll notice that compared to other treat bags, our top edge is reinforced to remain open for easy access, and our secure drawstring closure will keep you treats safe inside. 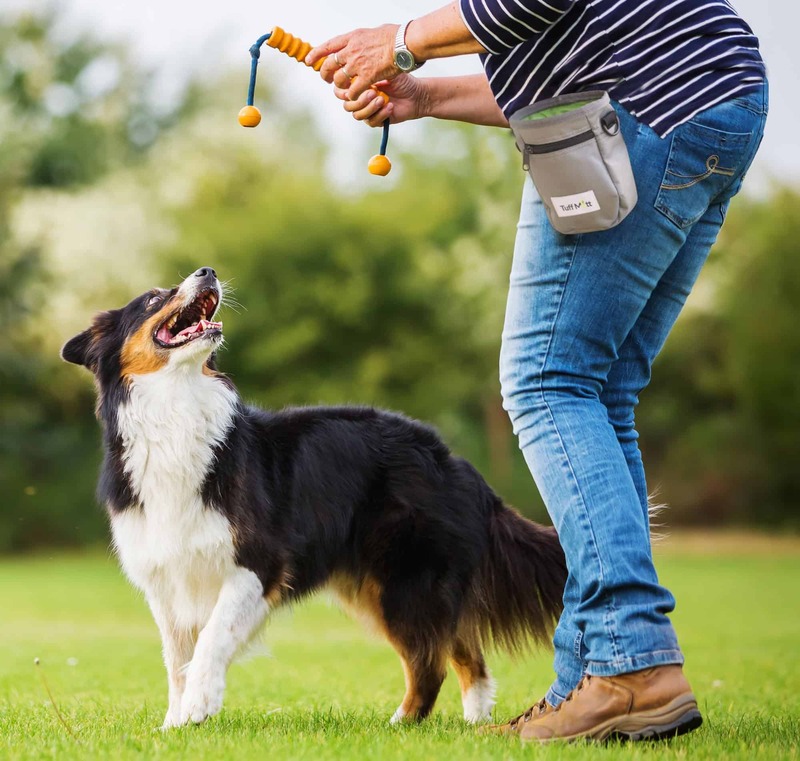 The main pouch also works well for trips to the park, as it generously holds a tennis ball, bone, or any one of your dog’s favorite fetch toy. We’ve added a zippered pocket on the front and the back of this bag. It holds most cell phones, and even though the larger phones do not zip closed, they still hold snug in the pocket. Use the other pocket to store your wallet, keys or maybe bring a small snack for yourself. We’ve also included another set of D-rings for yet another spot to bring something along, maybe a training clicker? 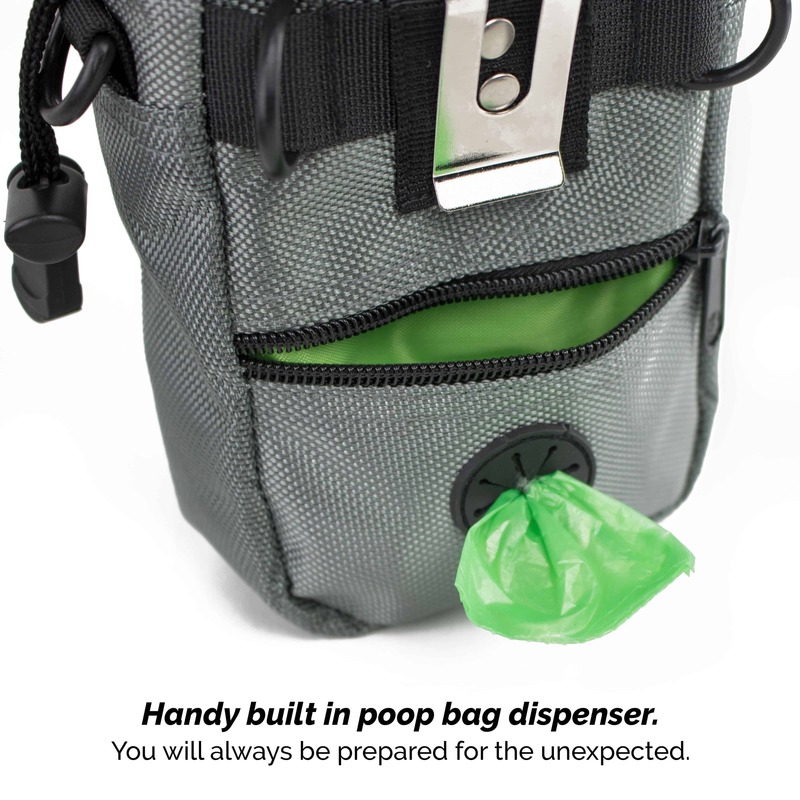 A convenient opening on the back side of the pouch allows you to feed your poop bags out one-by-one, and boom; instant poop bag dispenser. 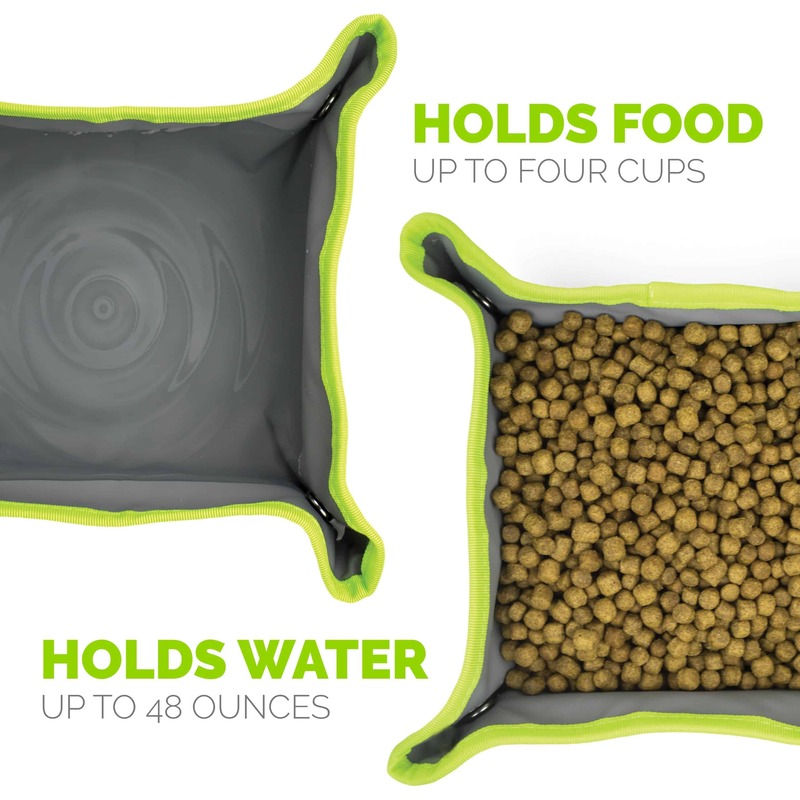 We ship our pouch with one roll of poop bags as a bonus, but any brand of poop bags on a roll, will work just fine. 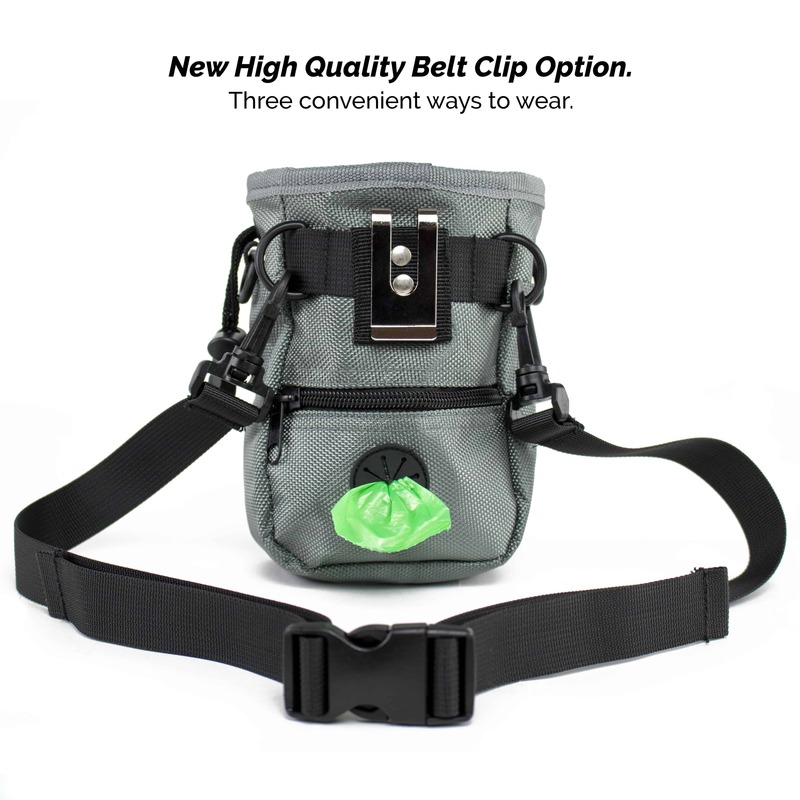 Choose from three different carry methods: our pouch comes with a detachable belt that fits most 42” waists and also works well over the shoulder. 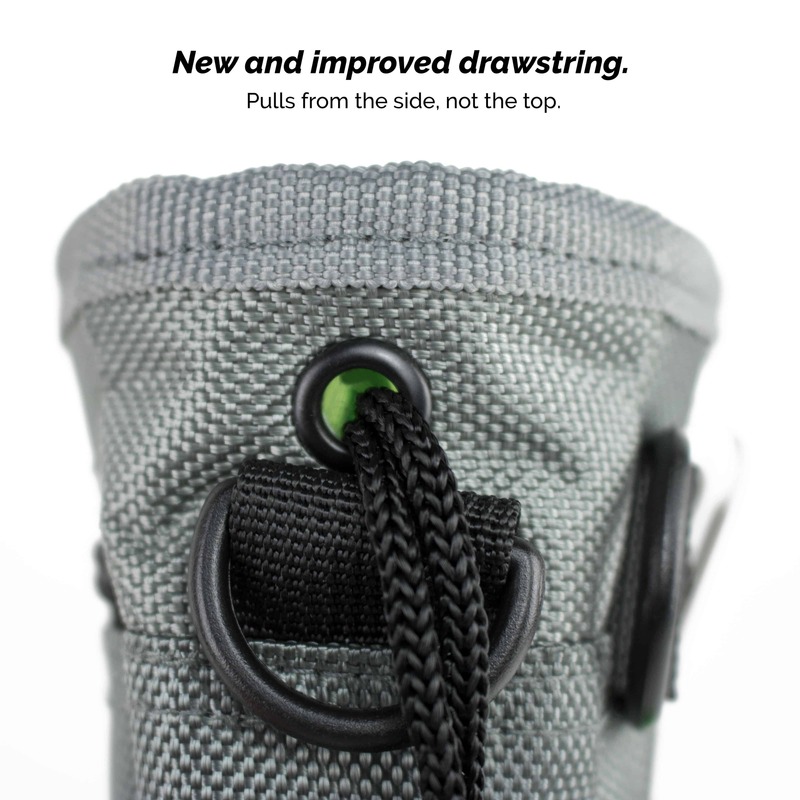 A strong metal clip is attached as well, for those who like prefer to not use a belt. 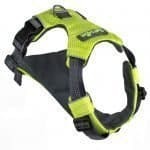 The adjustable light weight belt keeps the bag firm to your waist for easy access to treats, toys and bags. We offer a 100% Money Back Satisfaction Guarantee.